Fortunately, setting and achieving goal plans has never been easier. If you've been following this series from the beginning, you now have greater insight into the type of mindset that will assist you in achieving your goals. 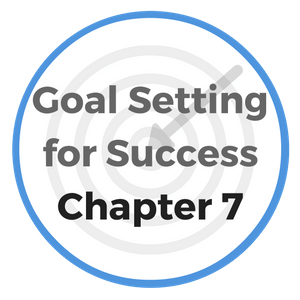 In this section, you'll discover how find the time to achieve your goals. If you don't know what is really important to you, everything will seem to be more important than it really is. Because everything tends to seem so important, people often make the mistake of trying to do everything. Doing everything can keep you so busy, you may not take the time to think about what is really deserving of your time and attention. Unfortunately, time cannot be recycled - it can only be leveraged or lost. Time will always be in limited supply. Each minute or hour that passes by can never be regained, so it's imperative that you have a system in place that helps you to maximize your time to the fullest. "Do not squander time; for that's the stuff life is made of." It's a simple fact that in this age of multi-tasking, dual career/daycare mom's and dad's - the scarcest commodity of all, is TIME. If you are feeling stretched for time, to the point that you do not see how you'll ever be able to devote any real effort toward a goal planning process - then listen up, we're going to walk you through a simple, yet highly effective exercise that will assist you in finding the additional time you need. The first thing to do to identify additional time for setting and achieving goal plans is to track how you are currently spending your time. Odds are that you may be allowing life to manage you, rather than you managing your life. Track your day in 30-minute increments, using a spiral notebook or journal. Don't make this a difficult exercise, simply jot down what roles you play and the activities you engage in throughout each of the next 7 days. Commit yourself to this exercise the a full week. Once you've completed this exercise for 2 or 3 days, you'll start seeing patterns of how you are currently utilizing your time. You'll begin to notice opportunities where your time can be reallocated for more productive activities. In addition, you'll realize that simply because you are more focused on how your time is spent, you'll get more done in a day than you were previously. It's so true that what we focus on - expands. When you are watching the clock, doesn't time seem to go by more slowly? Similarly, when you are watching how you are spending your time, you'll somehow discover those extra spare moments of time that can be more wisely spent by setting and achieving goal plans. Once the week is done and your notes are complete, sit down and analyze how you've been spending your time. Identify pockets of time that are not being used to your benefit such as: time in front of the TV, on the telephone, in front of the computer, sleeping, etc. Again, keep this process simple. You don't need to go out and buy an expensive time management tool. If you own a smart phone, you already have the ability to track your time using your calendar. We recommend just using a spiral notebook. Tracking your time up front will compliment your efforts as we move forward in setting and achieving goal plans for the coming months and years. "Time is free, but it's priceless. You can't keep it, but you can spend it. Once you've lost it you can never get it back"
It is a rare thing to find a really successful person who has not strongly developed a habit of promptness. Someone who is constantly missing their bus; who is almost invariably late in keeping appointments, and who is habitually behind time in meeting his bills, creates a distrust in the minds of those who have dealings with him. Although he may be honest and his intentions may be good, he somehow always comes up short in meeting the timelines he's committed himself to. "A man or woman who is impressed with the value of time will make every minute count with such purpose that his or her life will inevitably bear the stamp of power." The late J. Pierpont Morgan told a friend he regarded every hour of his time worth a thousand dollars. This may very well be the reason his fortune grew to such a massive amount. Too often we do not take time to consider just how much our time is worth. We should set a price upon our time to ensure we use it wisely, and to convince others not to make attempts to waste it. "People who know the value of their time, take extra steps to protect it from people who would attempt to steal it." 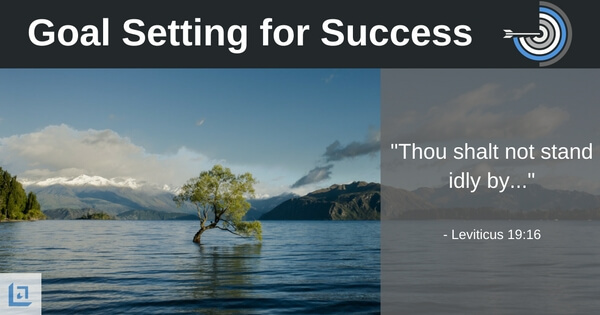 How can a person expect to succeed in setting and achieving goal plans when his tomorrows are always mortgaged for the things that should have been accomplished today? The person who is always ready, the decisive man or woman, the one always on the alert for the next and higher thing, who is always prepared for that which is required, and who does it at once - is the one who makes the most of his time and wins the game of life. 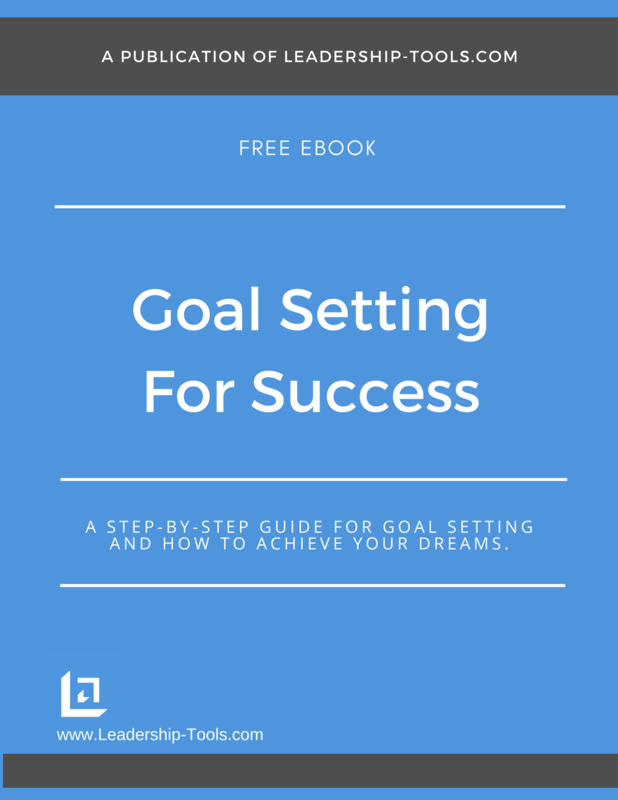 To download our free Goal Setting for Success eBook, simply subscribe to our free newsletter. You will immediately receive a password that grants access to our entire leadership tools library. Let us help you in setting and achieving goals plans for a more prosperous life.